Am I the only one who still enjoy a good smoothie even on the coldest of winter mornings? For almost as long as I’ve had my Vitamix, I’ve enjoyed a daily smoothie regardless of the weather. I go in waves of what type of smoothie I have. Sometimes it’s packed full of more refreshing flavors or fruit while other times it’s jammed with “heartier” ingredients like nut butters and seeds. As I’m writing this out, I realize it makes even less sense because those aren’t even all of the ingredients I have in my smoothie repertoire. And, sometimes there is overlap when it makes sense to swap weather (i.e. using ginger in the winter when I’m getting a cold or when I’ve overindulged and need something refreshing). So, all that to say, my logic for when I have certain types of smoothies will probably never make sense to anyone but me. Luckily my husband just goes along with it and drinks whatever I leave in the fridge for him in the morning! 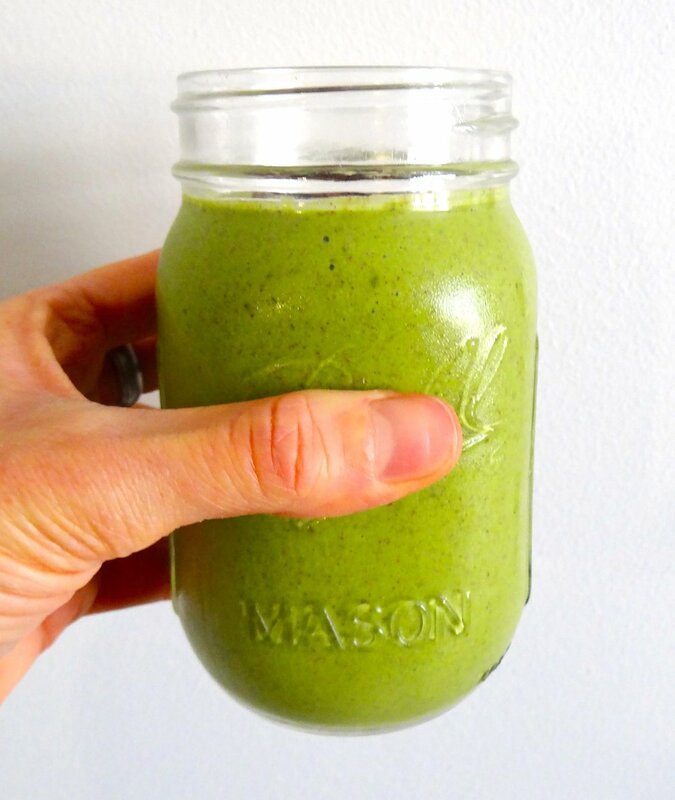 This became my go-to smoothie when I was pregnant last winter and trying to pack in all the nutrition (and dates…one small study shows that eating 6 dates a day at the end of pregnancy can help you go into labor and may make your labor shorter…definitely worth a shot!). I was also getting full really quickly and this smoothie packed in lots of lots of nutrients in a small volume. Put all ingredients in blender and enjoy while wearing cozy winter pajamas and fuzzy slippers.